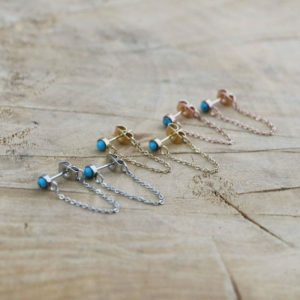 Delicate Dangling Bar Ear Jacket Earrings! 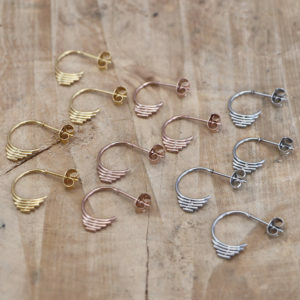 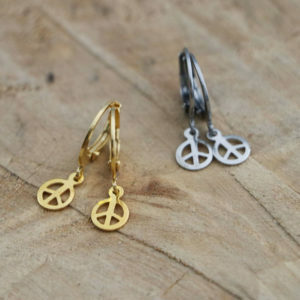 Delicate Hoop Earrings with Peace Pendant! 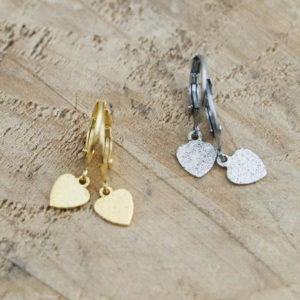 Delicate Hoop Earrings with Stardust Heart Pendant! 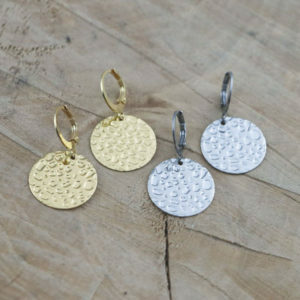 Delicate Hoop Earrings with Big Hammered Disc Pendant! 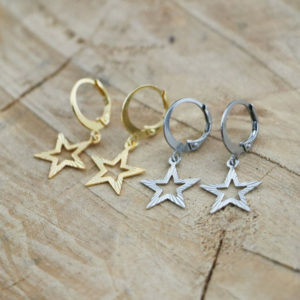 Delicate Hoop Earrings with an Open Star Pendant! 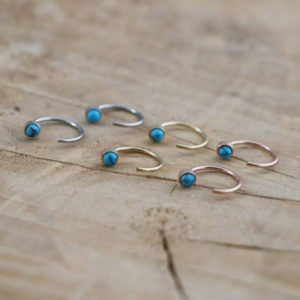 Delicate Stainless Steel Layered Hoop Stud Earrings! 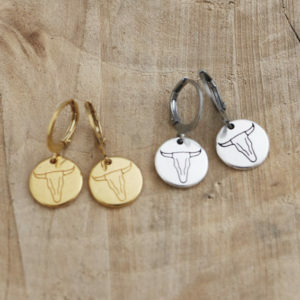 Delicate Hoop Earrings with Bull Disc Pendant! 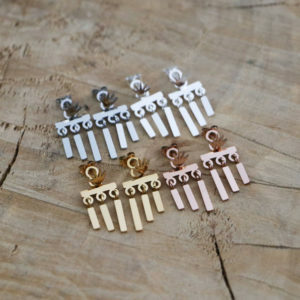 Stainless Steel Geometric Statement Hoop Studs with a Matte Finish! 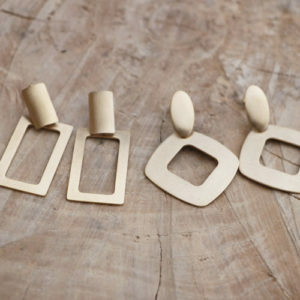 Available in two different shapes. 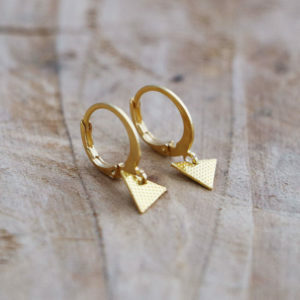 Minimalist Hoop Earrings with a Patterned Triangle Pendant! 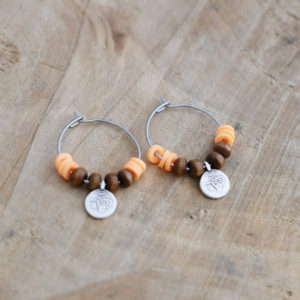 Small Coin Wood Bead Hoop Earrings! 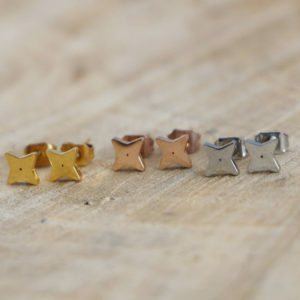 Delicate 4 Pointed Star Studs! 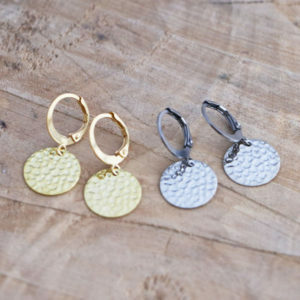 Delicate Hoop Earrings with Hammered Disc Pendant! 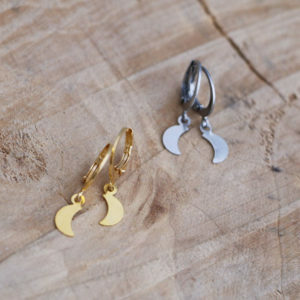 Minimalist Hoop Earrings with a small Moon Pendant! 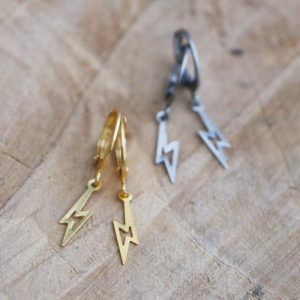 Minimalist Hoop Earrings with a small Lightning Bolt Pendant!